Insect protection without the unsightly screens. Optional hideaway screens come with black fibreglass insect mesh and roll out of view to provide a clear, unobstructed view when not in use. 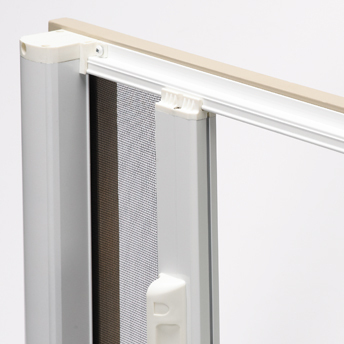 Available to fit any size door system, in your choice of 11 colours.